Benefits: intensely moisturizes and nourishes lips, relieves irritation and flaking, calms and returns a sense of comfort. Composition: coconut oil, castor oil, beeswax, kukui nut oil, honey, vegetable glycerin, mandarin oil, wheat germ oil, vanilla extract, geranium oil, lemon myrtle, rosemary extract. Moisturizing Lip Balm Kiss Me is a gentle kiss of nature itself. Kukui oil and a coconut oil with a slight nutty smell complement each other perfectly, protect the delicate skin of the lips from aggressive environmental influences and make it smooth and silky. 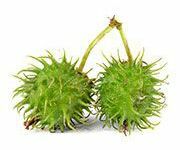 The high content of ricinoleic acid, which is part of castor oil, helps restoration of lips natural softness and tenderness. Citrus brothers - lemon myrtle and tangerine have an effective antibacterial and antimicrobial effect, eliminating herpes and cold sores from the lips. The wild Bali honey leaves long harmonious sweetness in the aftertaste. Spread a small amount of the balm evenly onto lips, lick them, and taste the kiss of nature itself. Use before going outside or when needed several times during the day. In order to remove the dead skin particles, 2-3 times a week, apply a balm for 2 minutes and then massage in circular motion and remove the residues with a cloth or a sponge, rinse with water repeatedly, put the balm on the lips once again leaving it in this time. 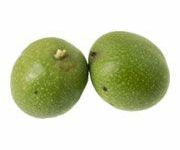 Aleurites Moluccana Seed Oil (Kukui): Homeland of the Kukui nut are Hawaii where for centuries it was used to protect the delicate skin of babies from the sun and wind. Rich in linoleic, alpha-linoleic and oleic acids (acid is vital for a healthy metabolism of the skin) it is perfectly soothes irritated epidermis after sun exposure, thermal or chemical burns. Helps ease the condition of dry and itchy skin, protects against dehydration, penetrates deep into the epidermis and favors the formation of new healthy cells. Honey: Gingerbread mead mulled wine, sauces and fillings this is just the first thing that comes to mind at the mention of this miraculous nectar. 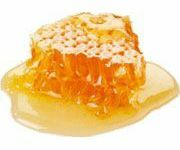 For our dessert for your tender lips we have included a recipe with honey of wild bees from the island of Sumbawa. 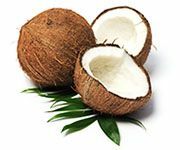 This is an excellent natural antioxidant and strong moisturizing agent it prevents the skin from drying out, thereby prolonging its youth and inhibits the appearance of premature wrinkles. Nourishes the skin with nutrients, soothes relieves inflammation and flaking. 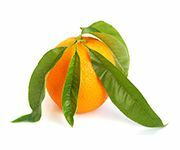 Citrus Nobilis Peel Oil (Mandarin Orange): Citrus Nobilis Peel Oil (Mandarin Orange): easy, fun and festive Mandarin is the first violin in the orchestra of the New Year fruit salads and desserts will sound dull without his ginger slices. But who knows that the peel contains vast amounts of vitamins and minerals all able to nourish the skin. Tangerine oil optimizes the self-regulation of the skin, increases its resilience and protective properties in the fight against the negative external effects of the environment. Especially true of its application for mature and aging skin as it helps to regain freshness and elasticity improve the complexion and lighten dark spots. 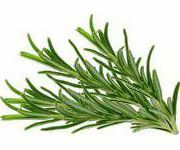 Triticum Vulgare Germ Oil (Wheat): Bread is the staff of life. 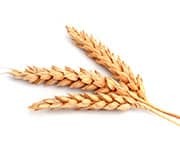 It is true in cosmetics as well- golden wheat germ oil is full of incredible biologically active substances essential amino acids, minerals, vitamins and lipids. Substances intended for creation of a new life revive the skin. They nourish rejuvenate and detoxify it. In dry and prone to fading skin oil eliminates peeling, fat clears inflammation, acne and redness. 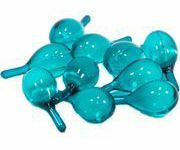 Miraculous agent helps tighten shape of the face makes the skin elastic and brings it into youthful appearance. 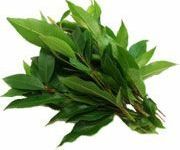 Backhousia Citriodora Leaf Oil (Lemon Myrtle): Sweet and refreshing lemon myrtle extremely beautiful and fragrant plant, the use of which has spread far beyond the kitchen table. Australian Aborigines have long been using it as an antibiotic and today it is ascribed to miraculous antiseptic antibacterial and antiviral abilities many times greater than even the eucalyptus. 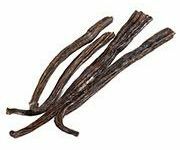 These magical properties and odor caused by its high content of citral (90-98%), thereby elevates him on a pedestal among the nominees for the best medicine against herpes (locally) and the common cold. Limonene*, Geraniol*, Citral*, Linalool*, Citronellol* - from natural essetial oils.